New Delhi: An estimated 34 per cent of India’s population qualifies as domestic migrants, and a study now suggests they may not be doing all too well. Domestic migrants are defined as people who move away from their place of birth for different reasons, primarily work. Conducted on hundreds of such workers in Pakistan, the study by American researchers says domestic migrants are sadder, less calm and more nervous than those who put down roots in their place of birth. The findings came as the world observed the annual Mental Health Day Wednesday. Titled “Moving to despair? Migration and well-being in Pakistan”, the study was carried out by researchers at the International Food Policy Research Institute (IFPRI), a research centre, and The Ohio State University. Also read: Displacements and denouements: Who are the Indians seeking asylum? The results are based on 726 rural households hailing from five districts that were surveyed twice, in 1991 and 2013-14. Since most female migration in the targeted demographic was mainly for marriage, the focus of the study was on working men aged 22-60. According to the results, domestic migrants had a 35-40 per cent higher consumption of goods than non-migrants. Even so, they were 17-20 percentage points less likely to report feeling happy, and 16-18 percentage points less likely to say they were calm, as compared to those who didn’t migrate. As many as 15.5 percentage points fewer domestic migrants were likely to say they didn’t feel nervous. 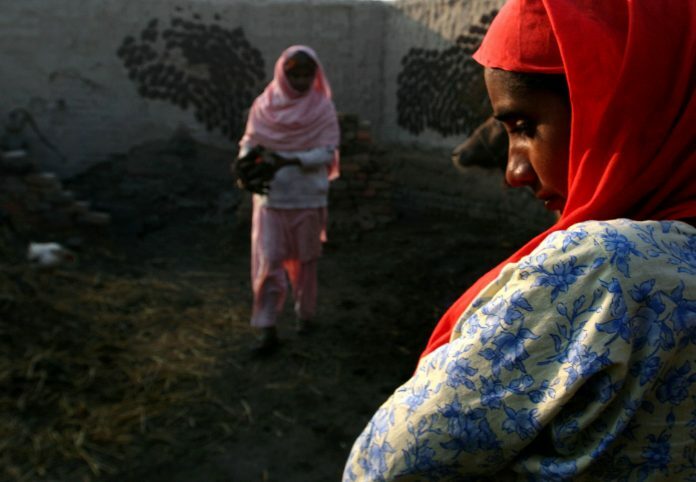 In developing countries such as India and Pakistan, migration is primarily an exit strategy for rural landless workers or members of agricultural households involved in subsistence farming. However, the study shows that this shift ends up taking an emotional toll when the actual gains don’t match up to a migrant’s aspirations. The study found that individuals who migrate aspire to increase their level of assets by 18 to 23 per cent more than non-migrants do, setting a goal that is highly difficult to achieve, and tend to achieve lower levels of asset wealth. The move was also seen to exact a toll on physical health. “Moving out-of-district makes an individual between 7.5 and 9.2 percentage points less likely to report having excellent health, and makes them between 7.7 and 12 percentage points more likely to report having been sick in the last four weeks,” said the report. “India has already witnessed significant structural change due to internal migration,” said study co-author Valerie Mueller, adding that an analysis of the Indian situation may help understand the longer-term implications better. “We can learn from these neighbouring experiences the extent workers have overcome these health burdens or whether there are increasing longer-term implications on society as long-distance migration for manual labour grows,” she added. To tackle the adverse effects of immigration, the authors recommend bringing jobs to the people, instead of the other way round.